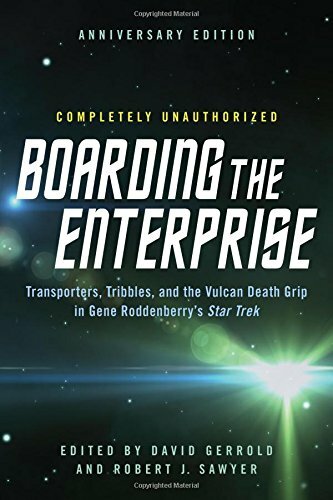 9781942952152 | Anv edition (Benbella Books, May 17, 2016), cover price $14.95 | About this edition: With a new introduction from David Gerrold and afterword from Robert Sawyer for Star Trek: The Original Series' 50th anniversary. 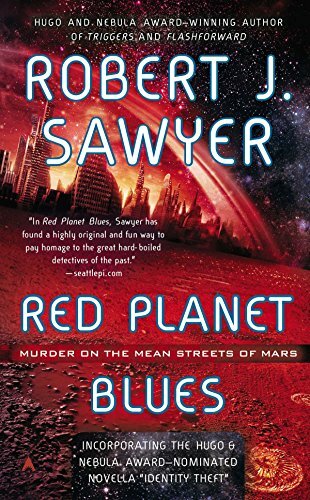 9780425256831 | Ace Books, March 1, 2016, cover price $27.00 | About this edition: With such compelling and provocative novels as Red Planet Blues, FlashForward and The WWW Trilogy, Robert J. 9780765309037 | Reprint edition (Orb Books, November 1, 2003), cover price $21.99 | About this edition: A twenty-first-century scientist sacrifices her family life to decipher the strange signals coming from interstellar space, messages that show her how to build an extraordinary machine that allows one to travel via the mind. 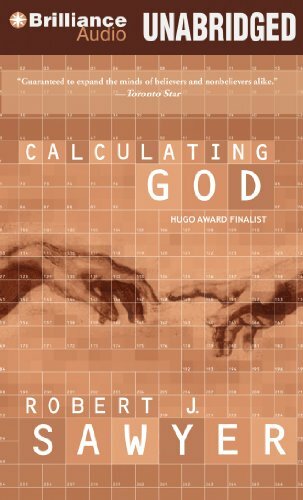 Pierre Tardivel, a geneticist confronted with the possibility of dying of Huntington's disease, uncovers a plot by his insurance company to kill off all their clients who are dying of disease so that they do not have to pay their claims, in a novel about the Human Genome Project. 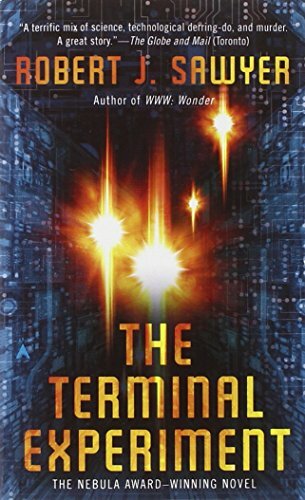 9780312863258 | Tor Books, June 1, 1997, cover price $23.95 | About this edition: Pierre Tardivel, a geneticist confronted with the possibility of dying of Huntington's disease, uncovers a plot by his insurance company to kill off all their clients who are dying of disease so that they do not have to pay their claims, in a novel about the Human Genome Project. 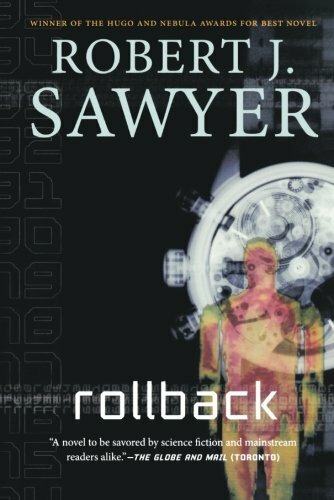 9780765313164 | Reprint edition (Tor Books, November 1, 2005), cover price $21.99 | About this edition: In a near-future thriller, a scientist's complex battle against deadly diseases is challenged when he and his wife are targeted by an ex-Nazi war criminal and a corrupt insurance company's plot to render them guinea pigs in a bizarre genetic experiment. 9780812571080 | Reprint edition (Tor Science Fiction, November 1, 1998), cover price $6.99 | About this edition: When a scientist working on the Human Genome Project discovers his insurance company is secretly taking genetic samples from its policy holders, he learns that the company is making profits by eliminating its high-risk clients. 9780606186421 | Demco Media, April 1, 1998, cover price $14.53 | About this edition: When a scientist working on the Human Genome Project discovers his insurance company is secretly taking genetic samples from its policy holders, he learns that the company is making profits by eliminating its high-risk clients. 9780425256824 | 1 edition (Ace Books, March 26, 2013), cover price $25.95 | About this edition: Robert J. 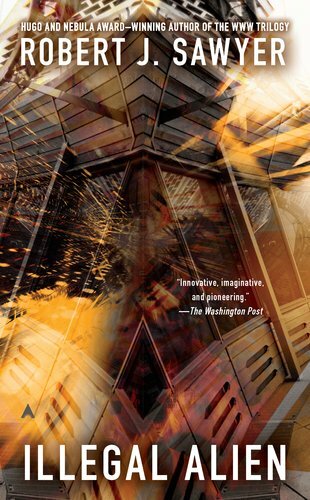 9780425256411 | Reissue edition (Ace Books, March 25, 2014), cover price $7.99 | About this edition: Incorporating the Hugo & Nebula award–nominated novella “Identity Theft”The name’s Lomax—Alex Lomax. 9781480527874 | Unabridged edition (Brilliance Audio Lib Edn, October 1, 2013), cover price $49.97 | About this edition: âFor fiction to be called literature, the story should stay with readers and keep them thinking about it long after the book has been put away. 9781469281896 | Mp3 una edition (Brilliance Audio Lib Edn, March 26, 2013), cover price $39.97 | About this edition: An experimental device that can modify or erase memories is accidentally amplified â and among those affected is the president of the United States. 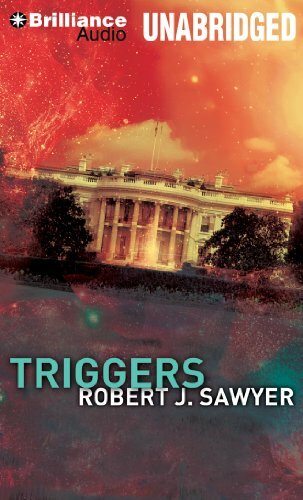 9781469281070 | Unabridged edition (Brilliance Audio Lib Edn, March 26, 2013), cover price $49.97 | About this edition: An experimental device that can modify or erase memories is accidentally amplified â and among those affected is the president of the United States. 9781455861873 | Mp3 una edition (Brilliance Audio Lib Edn, October 23, 2012), cover price $39.97 | About this edition: In Hominids, Robert J. 9780312876906 | 1 edition (Tor Books, September 1, 2003), cover price $24.95 | About this edition: Human geneticist Mary Vaughan and Neanderthal physicist Ponter Boddit struggle to make their relationship work and conceive a hybrid child, while Mary's Earth faces disaster and her boss plots against the Neanderthal world. 9780765349064 | Reprint edition (Tor Science Fiction, November 2, 2004), cover price $7.99 | About this edition: Human geneticist Mary Vaughan and Neanderthal physicist Ponter Boddit struggle to make their relationship work and conceive a hybrid child, while Mary's Earth faces disaster and her boss plots against the Neanderthal world. 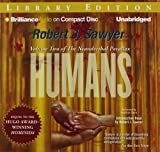 9781455861675 | Unabridged edition (Brilliance Audio Lib Edn, October 23, 2012), cover price $49.97 | About this edition: In Hominids, Robert J. 9780765311085 | Tor Books, April 3, 2007, cover price $24.95 | About this edition: Accepting a rollback--an experimental rejuvenation procedure--for herself and her husband in exchange for deciphering a message from aliens, Dr.
9780765332400 | Reprint edition (Tor Books, May 8, 2012), cover price $21.99 | About this edition: Dr.
9780765349743 | Reprint edition (Tor Science Fiction, February 6, 2008), cover price $6.99 | About this edition: Accepting a rollback, an expensive, experimental rejuvenation procedure, for herself and her husband of sixty years in exchange for deciphering a message from aliens, Dr.
9780575129580 | Orion Pub Co, April 26, 2012, cover price $25.15 | also contains Triggers | About this edition: The president of the United States is shot in the head by a would-be assassin. 9781469281483 | Mp3 una edition (Brilliance Audio, March 26, 2013), cover price $14.99 | About this edition: An experimental device that can modify or erase memories is accidentally amplified â and among those affected is the president of the United States. 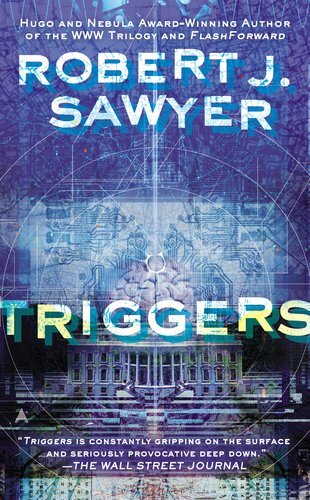 9781469280660 | Unabridged edition (Brilliance Audio, March 26, 2013), cover price $19.99 | About this edition: An experimental device that can modify or erase memories is accidentally amplified â and among those affected is the president of the United States. 9781937007164 | 1 edition (Ace Books, April 3, 2012), cover price $25.95 | About this edition: On the eve of a secret military operation, an assassin's bullet strikes President Seth Jerrison. 9780425256527 | Reissue edition (Ace Books, March 26, 2013), cover price $7.99 | About this edition: On the eve of a secret military operation, an assassinâs bullet strikes President Seth Jerrison. 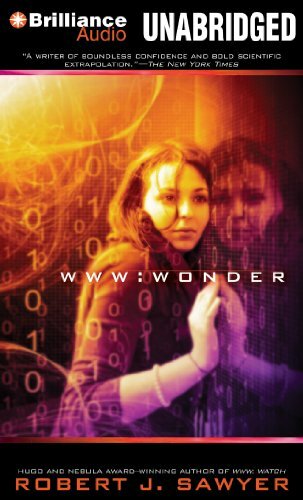 9781455884537, titled "WWW: Wonder: Wonder" | Mp3 una edition (Brilliance Audio, March 27, 2012), cover price $14.99 | About this edition: The advent of Webmindâa vast consciousness that spontaneously emerged from the infrastructure of the World Wide Webâis changing everything. 9781455884155 | Unabridged edition (Brilliance Audio Lib Edn, March 27, 2012), cover price $49.97 | About this edition: The advent of Webmindâa vast consciousness that spontaneously emerged from the infrastructure of the World Wide Webâis changing everything. 9781455884926 | Mp3 una edition (Brilliance Audio Lib Edn, March 27, 2012), cover price $39.97 | About this edition: The advent of Webmind â a vast consciousness that spontaneously emerged from the infrastructure of the World Wide Web â is changing everything. 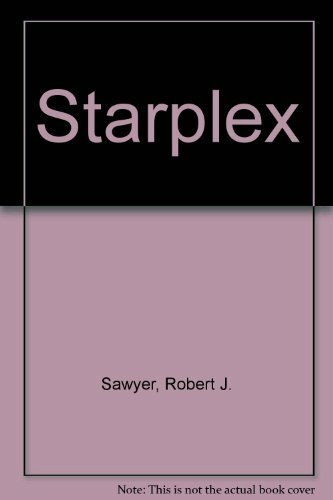 9781937007218 | Ace Books, December 27, 2011, cover price $7.99 | About this edition: When a disabled spaceship enters Earth's atmosphere, seven members of the advanced Tosok race are welcomed by the world. 9780312876913 | Tor Books, February 1, 2003, cover price $24.95 | About this edition: Neanderthal physicist Ponder Boddit resumes his relationship with geneticist Mary Vaughn as cultural and scientific exchanges begin between the two parallel Earths--our own, and one in which Neanderthals became the dominant species. 9780765326331 | 1 reprint edition (Tor Books, July 6, 2010), cover price $19.99 | About this edition: Neanderthal physicist Ponder Boddit, a character you will never forget, returns to our world and to his relationship with geneticist Mary Vaughn, in this sequel to Hominids, winner of the Hugo Award for best novel, as cultural exchanges between the two Earths begin. 9780765346759 | Tor Books, September 1, 2003, cover price $7.99 | About this edition: Neanderthal physicist Ponder Boddit resumes his relationship with geneticist Mary Vaughn as cultural and scientific exchanges begin between the two parallel Earths--our own, and one in which Neanderthals became the dominant species. 9781455859207 | Mp3 una edition (Brilliance Audio, December 13, 2011), cover price $19.99 | About this edition: In the Hugo Awardâwinning Hominids, Neanderthal quantum physicist Ponter Boddit fell through an interdimensional portal into our version of reality. 9781435298361 | Reprint edition (Paw Prints, June 5, 2008), cover price $15.99 | About this edition: Neanderthal physicist Ponder Boddit, a character you will never forget, returns to our world and to his relationship with geneticist Mary Vaughn, in this sequel to Hominids, winner of the Hugo Award for best novel, as cultural exchanges between the two Earths begin. 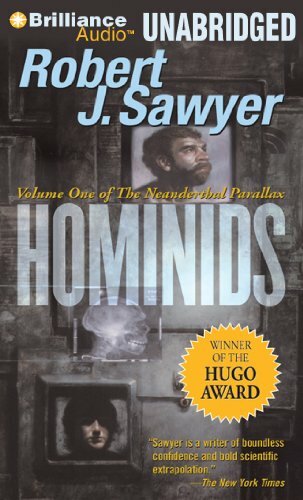 9781455858262 | Unabridged edition (Brilliance Audio Lib Edn, December 13, 2011), cover price $49.97 | About this edition: In the Hugo Awardâwinning Hominids, Neanderthal quantum physicist Ponter Boddit fell through an interdimensional portal into our version of reality. 9781455860142 | Mp3 una edition (Brilliance Audio Lib Edn, December 13, 2011), cover price $39.97 | About this edition: In the Hugo Awardâwinning Hominids, Neanderthal quantum physicist Ponter Boddit fell through an interdimensional portal into our version of reality. 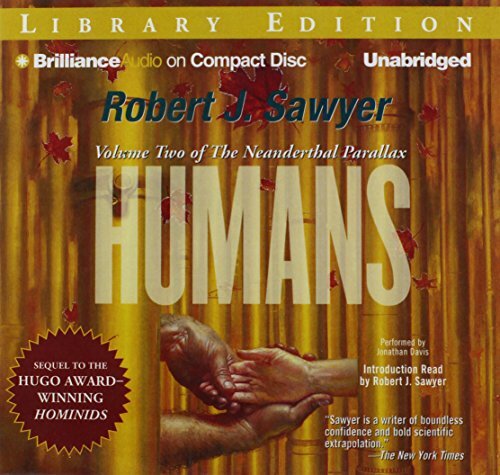 9781455858255 | Unabridged edition (Brilliance Audio Lib Edn, November 29, 2011), cover price $49.97 | About this edition: Hominids examines two unique species of people. 9781455860135 | Mp3 una edition (Brilliance Audio Lib Edn, November 29, 2011), cover price $39.97 | About this edition: Hominids examines two unique species of people. 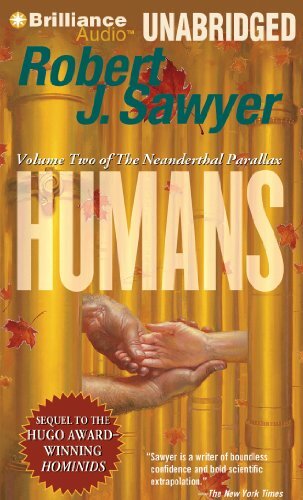 9780312876920 | 1 edition (Tor Books, May 1, 2002), cover price $25.95 | About this edition: In a parallel world in which Neanderthals, rather than homo sapiens, became the dominant intelligent species, a dangerous scientific experiment traps a Neanderthal physicist on Earth. 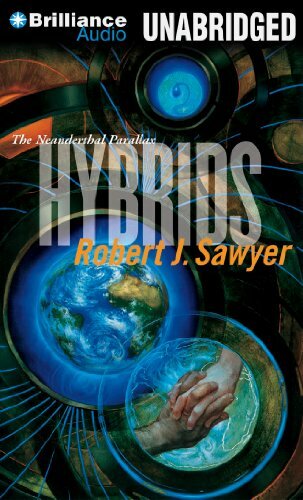 9780765345004 | Tor Science Fiction, February 1, 2003, cover price $7.99 | About this edition: The first volume of a new trilogy, the Neanderthal Parallax, focuses on a parallel world in which neanderthals, rather than homo sapiens, became the dominant intelligent species, until a dangerous scientific experiment traps a neanderthal physicist on Earth. 9781455859191 | Mp3 una edition (Brilliance Audio, November 29, 2011), cover price $19.99 | About this edition: Hominids examines two unique species of people. 9781455857319 | Unabridged edition (Brilliance Audio, November 29, 2011), cover price $19.99 | About this edition: Hominids examines two unique species of people. 9781435297791 | Reprint edition (Paw Prints, June 5, 2008), cover price $16.99 | About this edition: Hominids examines two unique species of people. Product Description: Dr. Peter Hobson has created three electronic simulations of his own personality. But they all have escaped from Hobson's computer into the web-and one of them is a killer. 9780441020805 | Ace Books, August 30, 2011, cover price $7.99 | About this edition: Dr.
9780061053108 | Harpercollins, May 1, 1995, cover price $6.50 | About this edition: To test his theories of immortality, Dr.
9781937007362, titled "Wonder: Wonder" | Reprint edition (Ace Books, March 27, 2012), cover price $7.99 | About this edition: Caitlin Decter discovered Webmind, the vast artificial intelligence that spontaneously emerged from the World Wide Web and changed the world-from curing cancer to easing international tensions. 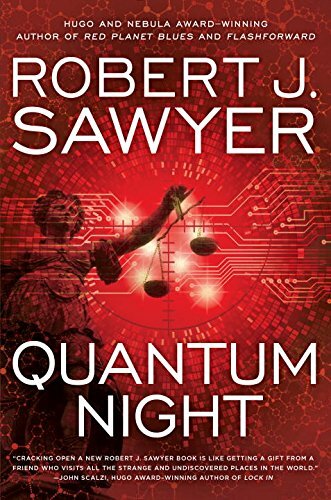 Award-winning author Robert J. Sawyer continues his "wildly though- provoking" science fiction saga of a sentient World Wide Web. Webmind is an emerging consciousness that has befriended Caitlin Decter and grown eager to learn about her world. 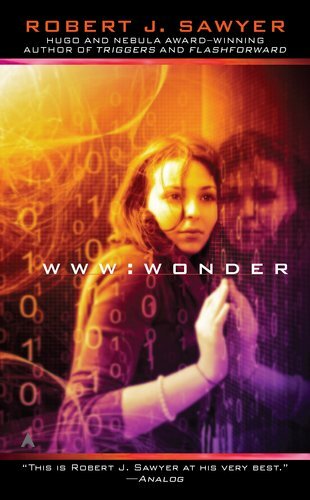 But Webmind has also come to the attention of WATCH-the secret government agency that monitors the Internet for any threat to the United States-and they're fully aware of Caitlin's involvement in its awakening. WATCH is convinced that Webmind represents a risk to national security and wants it purged from cyberspace. But Caitlin believes in Webmind's capacity for compassion-and she will do anything and everything necessary to protect her friend. 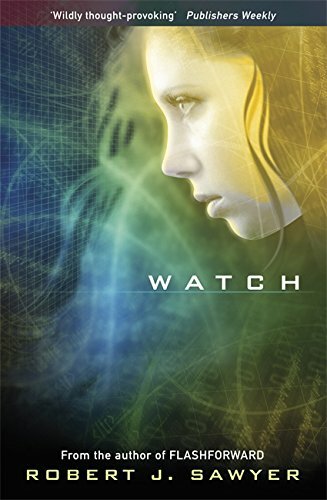 9780441018185, titled "WWW:Watch: Watch" | 1 edition (Ace Books, April 6, 2010), cover price $24.95 | About this edition: Award-winning author Robert J.
Twenty years after the discovery of artificial wormholes launches Earth space exploration to unforeseeable heights, Starplex Director Keith Lansing investigates a mysterious vessel that soon threatens the station with intergalactic war. Original. 9780441003723 | Ace Books, October 1, 1996, cover price $6.50 | About this edition: Twenty years after the discovery of artificial wormholes launches Earth space exploration to unforeseeable heights, Starplex Director Keith Lansing investigates a mysterious vessel that soon threatens the station with intergalactic war. 9780575095038 | Orion Pub Co, May 20, 2010, cover price $30.70 | About this edition: Award-winning author Robert J.
Paleontologist Brandon Thackeray uses a newly developed, still-experimental timeship to investigate what really killed off the dinosaurs. 9780312876937 | Revised edition (Tor Books, October 1, 2001), cover price $18.99 | About this edition: Paleontologist Brandon Thackeray uses a newly developed, still-experimental timeship to investigate what really killed off the dinosaurs. 9781439558331 | Reprint edition (Paw Prints, April 9, 2009), cover price $24.95 | About this edition: Paleontologist Brandon Thackery and his rival, Miles "Klicks" Jordan, fulfill a dinosaur lover's dream with history's first time-travel jaunt to the late Mesozoic.